ROSEMONT, IL - (March 12, 2014) – Riddell, the leader in football helmet technology and innovation, has been named a 2014 Award Finalist by the internationally renowned Edison Awards™ for its InSite Impact Response System. Simbex, an engineering, research and product development firm with a core competency in injury biomechanics, is a co-developer of InSite and joins Riddell as a finalist. The distinguished awards, inspired by Thomas Edison’s persistence and inventiveness, recognize innovation, creativity and ingenuity in the global economy. “It’s exciting to see companies like Riddell continuing Thomas Edison’s legacy of challenging conventional thinking,” said Frank Bonafilia, Edison Awards’ executive director. “Edison Awards recognizes the game‐changing products and services, and the teams that brought them to consumers.” Award winners will be announced April 30, 2014 at the Edison Awards Annual Gala, held in the historic Julia Morgan Ballroom in San Francisco, CA. 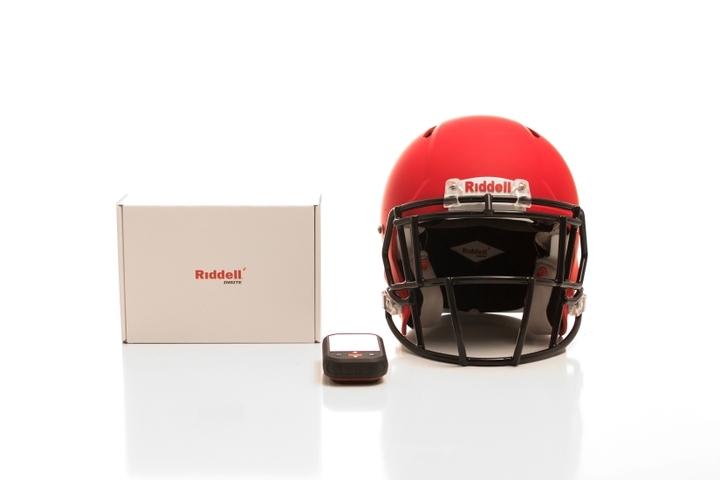 Riddell, in partnership with Simbex, was the first to introduce a helmet-based player monitoring and response system to the sport of football with its Sideline Response System (SRS). Riddell developed InSite based on SRS, which has analyzed over 2 million on-field impacts over the last decade. A new integrated monitoring and alerting tool designed specifically for the proactive protection of football players, InSite is designed to alert when significant single and multiple impacts are sustained during a football game or practice. Coaches and sideline staff will now have InSite’s unique vantage point of evaluating impacts to the head at the time of contact to enable improved identification and management of concussion. Founded in 1929, Riddell is a premier designer and developer of protective sports equipment and a recognized leader in helmet technology and innovation. One of Easton-Bell Sports Inc.’s most well-known brands, Riddell is the leading manufacturer of football helmets, shoulder pads and reconditioning services (cleaning, repairing, repainting and recertifying existing equipment). For more information, visit our website at http://www.riddell.com, like the Riddell Facebook page, or follow Riddell on Twitter @RiddellSports. The Edison Awards is a program conducted by Edison Universe, a 501(c)(3) charitable organization dedicated to fostering future innovators. The 2014 Edison Awards are sponsored by Ipsos. For more information about the Edison Awards, Edison Universe and a list of past winners, visit www.edisonawards.com.